9th gen F-150 4x4 with a short box and regular cab, a V8, auto trans, and auto hubs. I love these trucks. 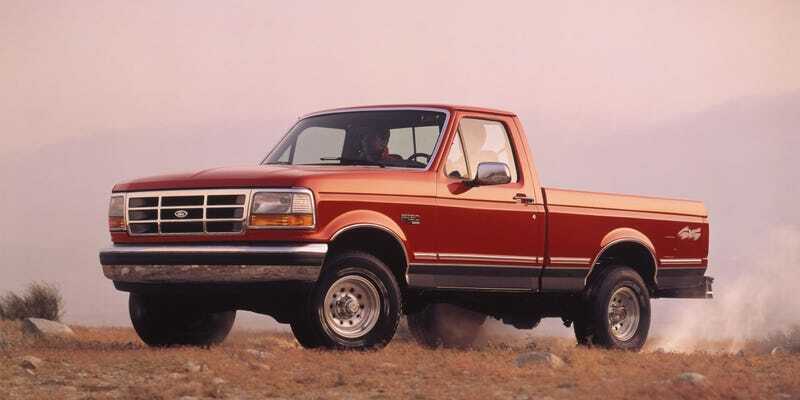 Dad had that ‘95, which was the first car I ever drove in an empty parking lot when I was 9, and they’re just so good looking. I want the auto stuff for convenience, as it’d be a daily driver while I tear into the Dakota. Yes, I know the auto hubs are infamous for failing, but I don’t want to get out of the truck to engage manual hubs when it’s -15 degrees outside. V8 because rumbly noises. Automatic because daily, and not sporty.